Individual cultures of different countries can vary incredibly between each other. What was considered to be a beautiful or an honorable trait in one country might be ridiculed in another – for example, ancient Greece honored and loved naked human bodies, but medieval Europe frowned upon those ideals. In modern times, different cultures have learned to tolerate each other. But in the art of Yuki Aruga that level of tolerance was brought to a point at which different cultures can simultaneously co-exist in the same place – but successfully and more productively than currently possible in the real world. Taking only the best out of one culture and combining it with the positives of another could bring some exciting results. While we wait for the world to eventually be ready for such steps, there is the art of Yuki Aruga to keep us at the edge of our seats – her work brings us an interesting blend of Japanese and British cultures. The idea of mixing the distinctions of countries that are so far from each other actually came from Yuki’s own heritage – she can trace her bloodline to both the United Kingdom and the Land of the Rising Sun. This unusual combination allows her to take the best aspects of almost completely different traditions – and use them as she sees fit. 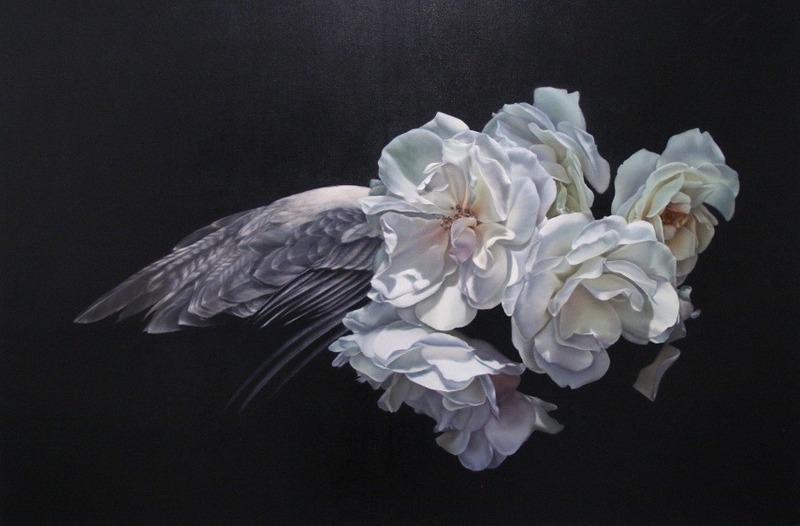 When it comes to Japan, Yuki tries to use concepts of its aesthetics; her western influences can be traced to the 16th and 17th-century paintings of still life. Since she lived in both these countries, we can safely presume that her art has been well-established on Yuki’s experience of living in England and Japan. But on the education front Yuki seems even more impressive – she graduated from Camberwell College of Arts in London in 2008. Because of her interest in anatomy and nature, Aruga decided to seek tuition in classical painting methods and taxidermy – which resulted in her receiving a 1st Class BA Hons degree in Fine Art Painting. This was the time Aruga started to paint her first trademark presentations of flowers. She painted them in a way that resembles Japanese illustrations of spring announcing cherry blossoms, but at the same time the influence of the baroque’s greats was easily noticeable. If we were to set Aruga’s legacy aside, we could see that her work can also be interpreted as an obsession with time and nature. 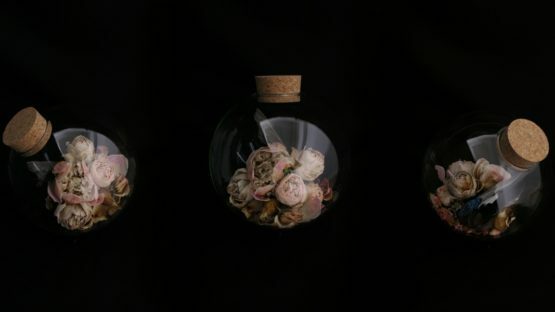 Her art is defined by transient and endless cycles present in the wilderness – mostly the concept of aforementioned flowers. The way they grow apparently out of nothingness, turn into something indescribably beautiful and then wither away is a notion that fuels Yuki’s art from the inside out. The fragility of such plants is also a source of inspiration for Yuki. She doesn’t hide it either – Yuki paints flowers on almost anything! You can find Aruga’s plants almost anywhere between canvases to fake easter eggs. And you can easily identify they belong to her by the unique way she paints them – not very colorful and not really dependent on anything else as Yuki’s presentations of this type primarily display vegetation. Often enough, Aruga makes flower arrangements like the one in our featured image. Of course, her artwork is not solely based on flowers. Yuki also paints various animals and motifs. 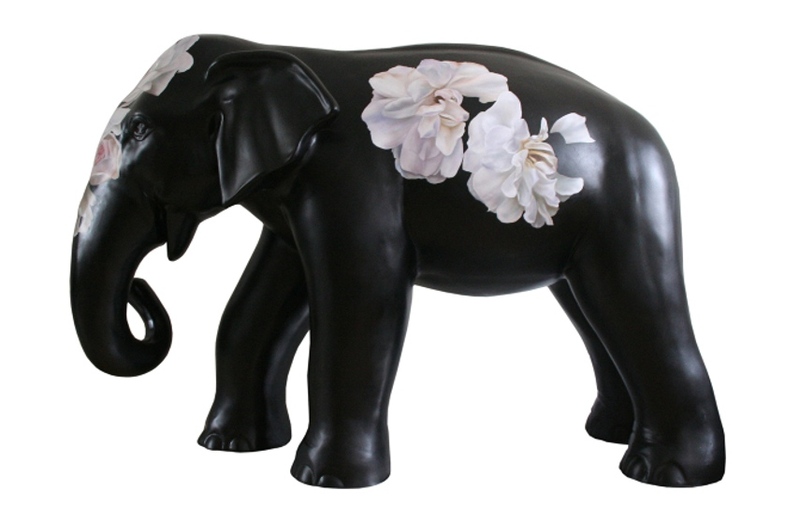 Most recently, she applied her magic touch on large fiberglass sculptures of elephants and these were later auctioned and exhibited alongside some big names in the art world – such as Poly Morgan and Vivienne Westwood. The way Japanese society astounded the 19th century Europe with geishas, fans and colored umbrellas is comparable to the influence Yuki Aruga has on western audiences. The only difference is the fact she is simultaneously affecting eastern countries in a similar way. And she is beloved on both sides of the world. Presenting a blend of two seemingly incongruous cultures is a pleasant thing to observe and a feat to be admired. Her take on the popular motif of time is also commendable. Maybe the best way to end this biography is to cite Yuki herself: these works are a response to my fixation with time; my attempt at stopping its incessant passing, to hold something still and immovable, preserving it in a particular moment. I aim to address these anxieties and a sense of an allotted time, by using the brief phases of perpetual and cyclical processes present in nature. The galleries that show Aruga’s work include The Cat Street Gallery in Hong Kong, Chappell Contemporary in Oxford and My Life in Art (MLIA) in Hampstead. 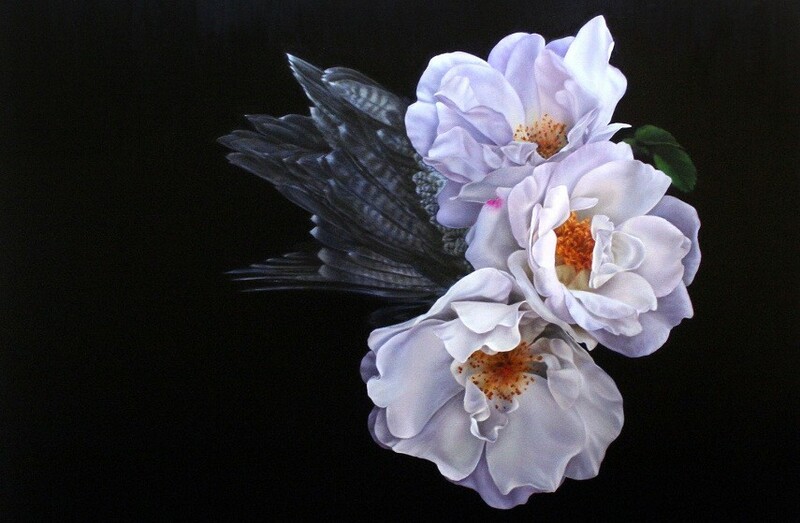 Yuki Aruga lives and works in London (England). All Images Photo Credits yukiaruga.co.uk.